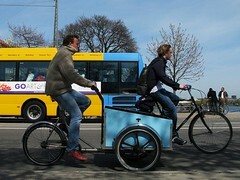 Cargo bike culture in Copenhagen. 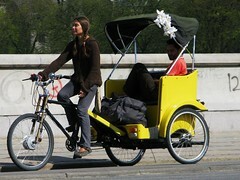 The first five photos were taken in the 19 Copenhagen Minutes set. 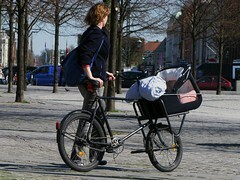 The last one was not but it's classic Copenhagen shot of a mother transporting her newborn.